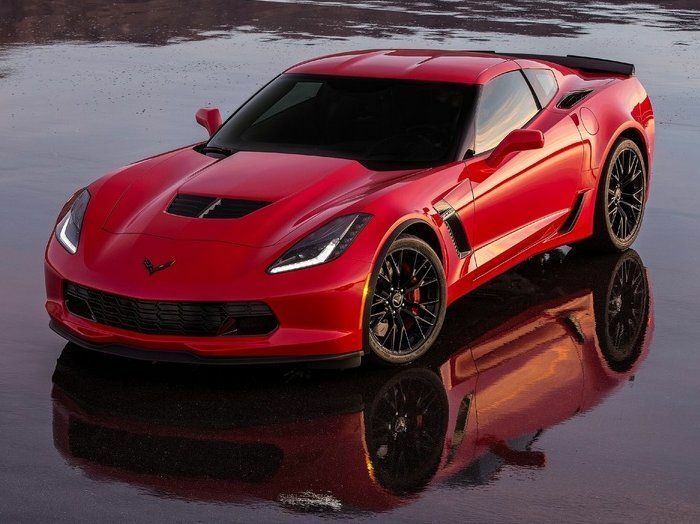 More and more owners of the C7 Chevrolet Corvette Z06 are taking legal action against General Motors over the cooling issues that spoil the performance capabilities of the supercharged supercar, with newest lawsuit being the 4th and largest filing thus far. The law firm of Hagens Bergman announced yesterday that on the behalf of a group of Chevrolet Corvette Z06 owners, they have filed a class-action lawsuit against General Motors due to the cooling issues with the LT4 engine in the sleek supercar. This is fourth class-action suit filed against GM over the Z06 overheating troubles and this particular suit includes owners in 11 states - Colorado, Connecticut, Georgia, Kansas, Michigan, Missouri, Nevada, Ohio, Pennsylvania, South Carolina and Texas. While previous suits and reports claimed that a few thousand owners are affected, this new filing claims that more than 30,000 Corvette Z06 owners are affected by this problem. In short, every C7 Z06 owner is affected by the cooling issues with the LT4 in the Corvette. In many cases, this problem is presented as a problem with the C7 Corvette Z06 on the race track, and it is, but it also affects cars on public roads. When the LT4 V8 engine is pushed hard for as little as 15 minutes, the engine is prone to go into a low-power limp mode. This prevents the engine from experiencing harmful detonation issues under high levels of boost and high internal temperatures, this prolonging the life of the engine. It makes sense to the automaker, but not to customers who bought a car billed as the most track-capable Corvette ever, only to find out that it loses much of its power after a few laps. GM has pointed out that a tuning device can remove the hot-engine limp mode, but that voids the engine warranty while shortening the life of the engine. Worst of all, this isn’t just a problem for those folks who take their cars to the track. Many C7 Corvette Z06 owners have reported the power loss of limp mode after making hard pulls on the highway. Anything that causes a vehicle to rapidly decelerate without driver input is considered a safety risk, so in addition to being a nuisance to racers, it technically creates a safety concern on the road – or at least that is what the lawyers will claim. A “car that peters out after 15 minutes of track driving” – that is harsh, but it is unfortunately true for many owners. The lawsuit is seeking monetary damages for those people who bought or leased a new Corvette Z06, including “injunctive relief for GM’s misconduct related to the design, manufacture, marketing, sale and lease of affected vehicles”. We don’t know exactly what that means, but if GM loses, it sounds like it could be expensive. If nothing else, this is another black eye for the Corvette Z06 as owners look to be reimbursed for their disappointment. The article might/should have referenced exactly which model years of the Z06 are affected.